Alihussain Akberali FCA is the Chairman of BSRM Group of Companies, a leading conglomerate of the country. His father’s name is late Akberali Alibhai Africawala. 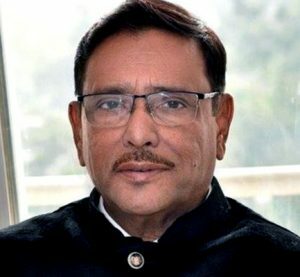 Born on August 8, 1949, Mr. Alihussain hails from Chittagong. He has graduated in commerce from the University of Karachi, Pakistan. He is a Chartered Accountant and a Fellow Member of the Institute of Chartered Accountants of Bangladesh (ICAB). Mr. Alihussain has guided the transition of this industry established by his father from four small manual rolling mills to the state-of-the-art Italian built rolling mill, which is a milestone for our nation. He has established a good number of industries in the steel sector under the BSRM Group. Mr. Alihussain has more than 30 years of experience in steel-making business in Bangladesh. His life is regarded as synonymous with the rise of Bangladesh’s steel industry. In business circle he is considered as an epitome of enterprise for his integrity and hard work. This year Mr. Alihussain Akberali FCA, the Managing Director of Bangladesh Steel Re-Rolling Mills Limited and the Chairman of BSRM Group has been selected as Commercially Important Person (CIP) from the Large-Scale Industry Category. Previously, he was also obtained this distinction for five years in 1995, 1996, 1997, 2001 and 2008. 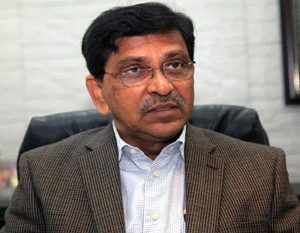 Mr. Alihussain Akberali has been carrying out his responsibilities as the Chairman & Managing Director of Bangladesh Steel Re-Rolling Mills Limited, Meghna Engineering Works Limited, H. Akberali & Company Limited and BSRM Iron & Steel Co. Ltd. He is also the Chairman & Director of Karnafully Engineering Works Limited, BSRM Steels Limited, BSRM Steel Mills Ltd. and BSRM Ispat Limited. Mr. Alihussain is also the Managing Director of BSRM Wires Limited and BSRM Recycling Industries Limited. Alongside business activities, Mr. Alihussain Akberali is also involved in different socio-cultural organizations. 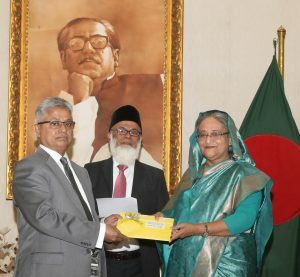 He is a Member of the Institute of Chartered Accountants of Bangladesh, International Rotary Club of Chittagong Mid City and Chittagong Club Limited. 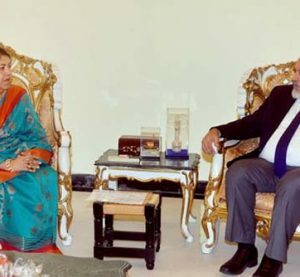 He is also the Vice-President of Chittagong Metropolitan Chamber of Commerce & Industry, Chirayata Shanti Society and life member of Bhatiary Golf & Country Club, Patients Welfare Samitee of Chittagong Medical College Hospital, Chittagong Ma-O-Shishu Hospital and Handicapped Association. 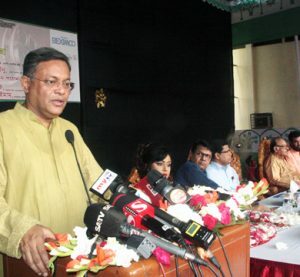 Mr. Alihussain is also a sponsor of Burhani BSRM School for free education to cover 350 children at Biazid Bostami Road, Nasirabad, Chittagong. A well-travelled person, Mr. Alihussain Akberali visited many countries of the world for business purposes and for his outstanding contribution to the society he was venerated by many socio-cultural organizations. BSRM Group is also sponsoring needy persons higher education on interest free loan basis. A brief introduction of BSRM Group: This Group is the largest and leading industrial conglomerate in the steel sector of Bangladesh. BSRM Group established its first concern in 1952 and since then serving the nation with exception. The founder of this Group is Late H. Akberali Alibhai Africawali, the father of Mr. Alihussain. Also 4 other brothers of late Mr. Akberali contributed to the setting up of such a vast empire. The BSRM saga started by setting up of four manual rolling mills, the first of its kind, to produce plain bars for construction purposes. Then in 1987, a milestone was achieved. 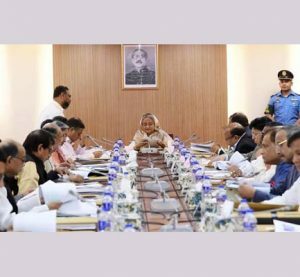 The four old manual mills were scrapped and an automatic billet based rolling mill was installed under the name of Bangladesh Steel Re-Rolling Mills Limited. The two highway bridges over the rivers of Meghna and Gumti, the Chittagong Airport, KAFCO Fertilizer plant and most of the country’s largest prestigious projects and many high-rise buildings were built using the BSRM bars. In 1996 the company saw the commissioning of a captive billet making plant under the name of Meghna Engineering Works Limited. In 2006, the first and the only ribbed wire cold rolling plant in the country using European Technology to make 500 mpa yield strength wire reinforcements in sizes 4.5mm, 5.7mm and 7.1mm was introduced by BSRM helping to bring down the cost of construction. Finally in 2008, with the commissioning by DANIELI, Italy, BSRM has built a state-of-the-art rolling mill at Fouzderhat, Chittagong under the name of BSRM Steels Limited with the capacity of producing 375,000 MT bars of 500mpa strength at the brand name of “Xtreme 500W”. It is a crowning glory not only for the company but also for the nation. Recently, BSRM has taken step to increase the capacity of the mill to 600,000 MT per annum. 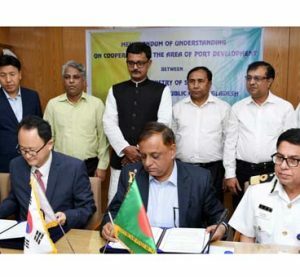 Simultaneously, it has also planned to increase the capacity of its oldest mill, Bangladesh Steel Re-Rolling Mills Limited up to 400,000 tons to meet the demand for quality sections for the re-bars of the country. With these new capacities BSRM alone will be able to meet around 5% market share of the country with over 1 million tons steel capacity. The Group concerns are ISO-9001: 2000 certified. The products are also tested and certified by BUET, BDS etc. and the Group always maintains international standard in its production for the best quality products with guaranteed customer satisfaction. BSRM Group is a very transparent and well managed industrial house in Bangladesh. The Group has a clear vision to be the number one leader of the sector on every count, viz. market share, cost effectiveness, quality and innovation. Capital is being continuously injected in the plants to improve efficiency in line with the capacity and the company conducts product and market research to match the needs of the time. The products of BSRM are: Deformed Bars with yield strength of 72,500psi (min), deformed bars of Grade 300 & 400, Grade-75 wires, Angels, Channels, Spring Steel Flats, Low Carbon Wire Rods, etc. This Group has a wide marketing and distribution network across the country for the fastest and smooth delivery of its products to the end-user.